The end is in sight for the Minnieville Road Project. Officials have completed most of the $39 million plan, according to a release. 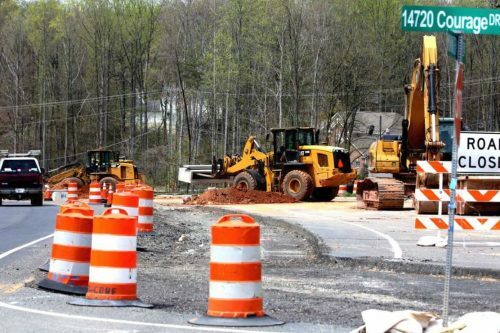 The project includes expanding the road from two lanes to four lanes and adding a median between Spriggs Road and Route 234. A bridge that crosses Powell’s Creek has been built and the construction of a pedestrian trail that runs along Minnieville Road is ongoing, according to Prince William County Department of Transportation Construction Manager Rich Windish. So far, officials have completed about half of the new lanes and 85 percent of the signal located at Howison Park. They plan to begin work north of Spriggs Road at the end of this month. The widening project, which is on schedule and on budget, started in November 2016 and is expected to be finished in October. It aims to address flooding and traffic on Minnieville Road in Woodbridge. “It will help by alleviating the flood conditions at the creek and better movement of traffic on a main corridor in the county due to the two lanes in both directions and signalization improvements,” Windish said in a release. To learn more information about the county’s transportation projects, visit www.pwcgov.org/transportation.